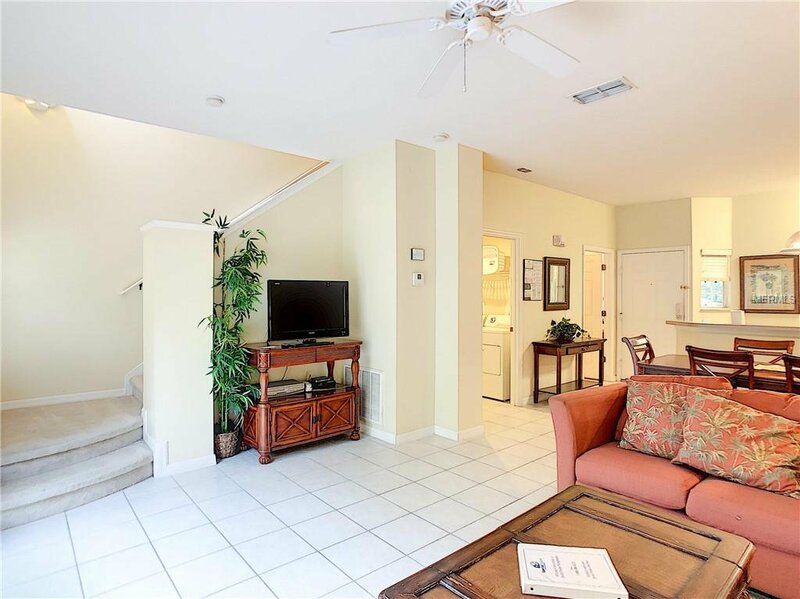 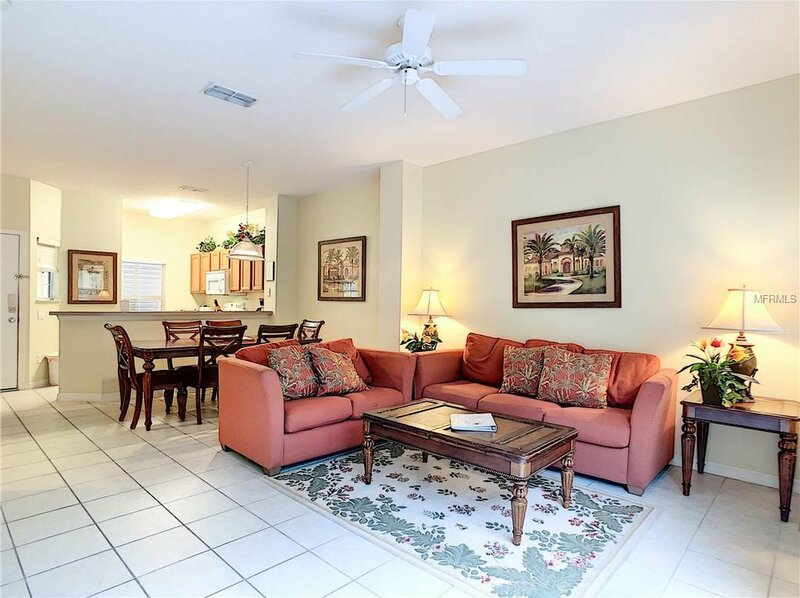 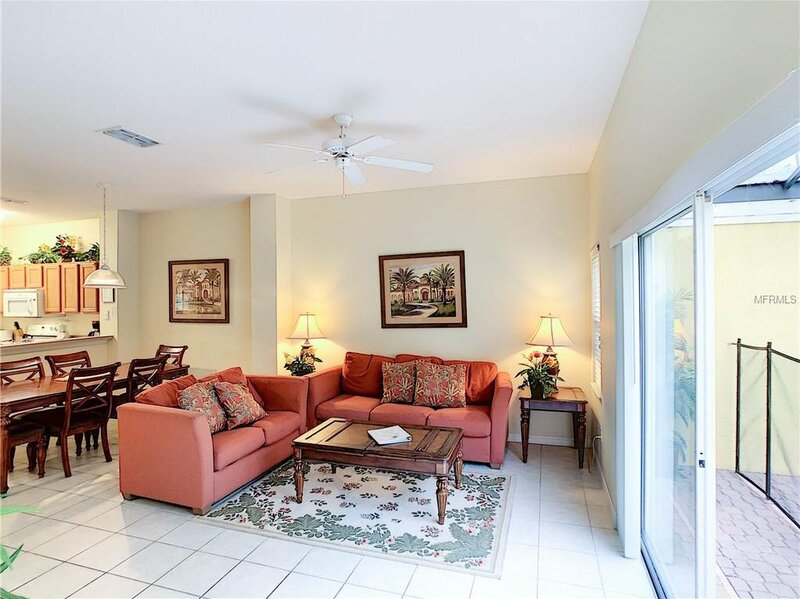 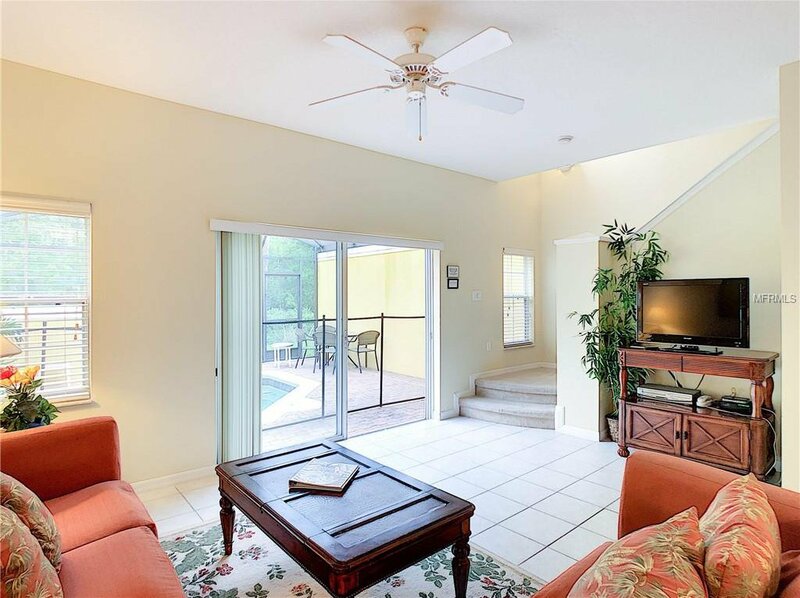 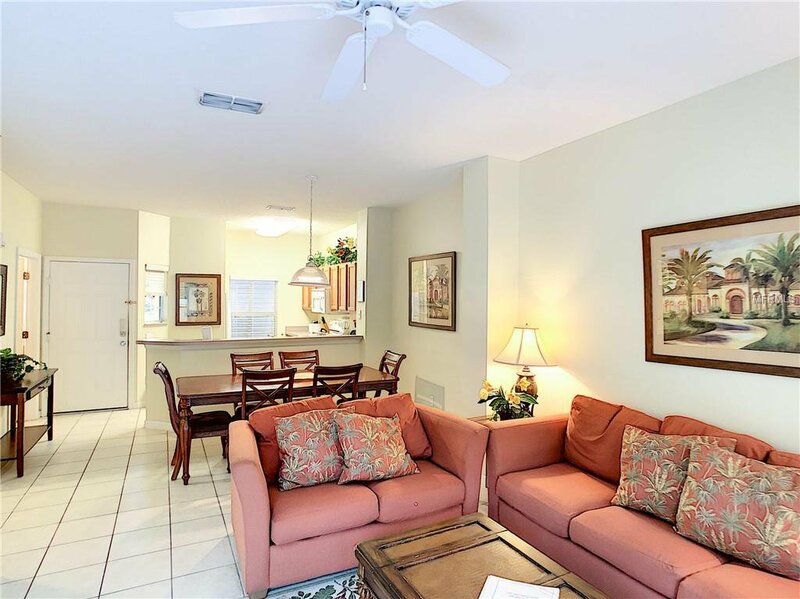 This beautiful townhouse is FULLY FURNISHED, located at the sought after Encantada Resort and has amenities for the whole family to enjoy. 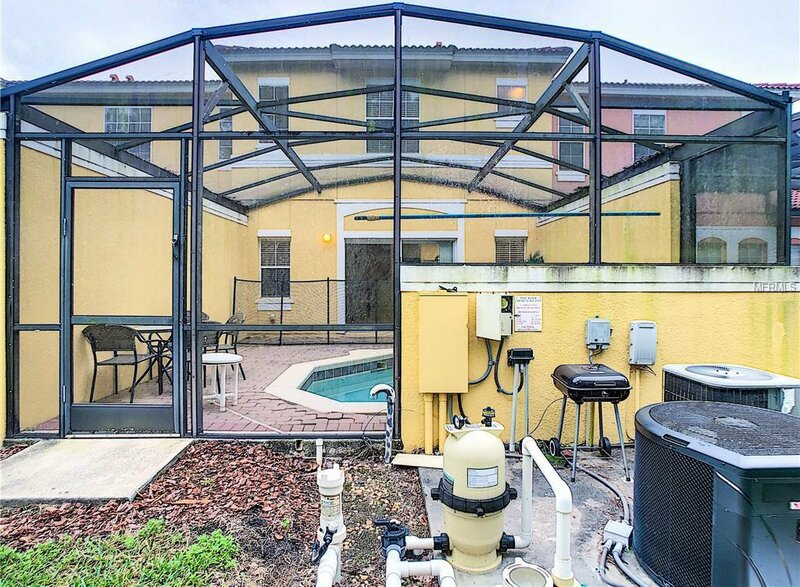 Whether you want to occupy it or use it as a short term vacation home, this 3 bedroom 2.5 bathroom home has so much to offer! 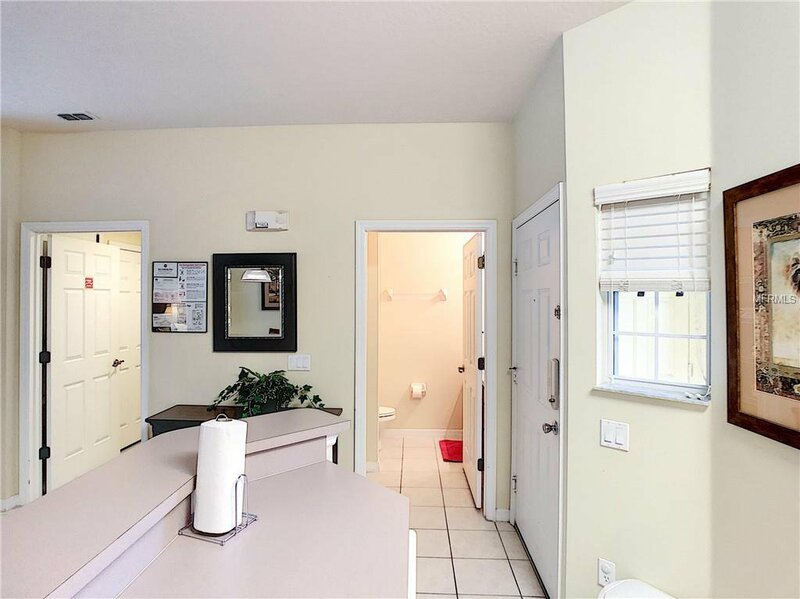 Ceramic tile flooring throughout downstairs. 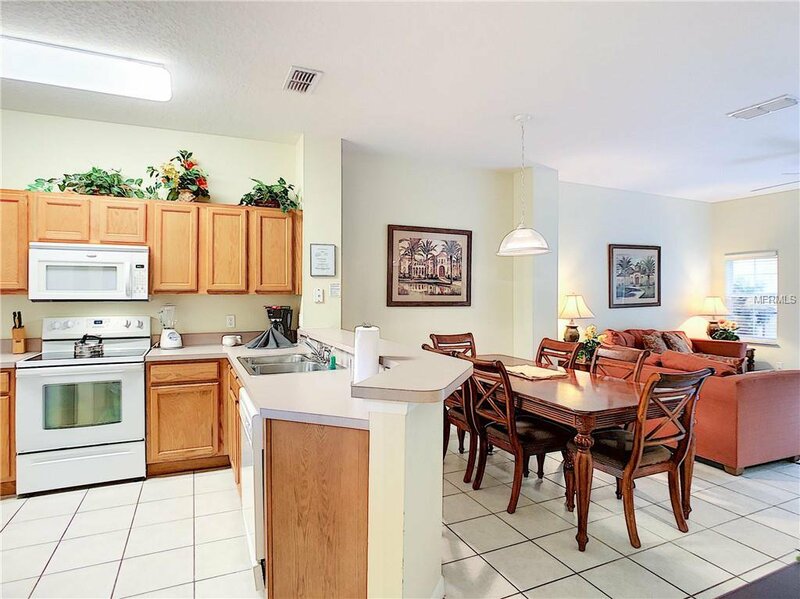 The fully equipped kitchen is perfect for preparing evening meals to be enjoyed in the dining area or out on the pool deck. 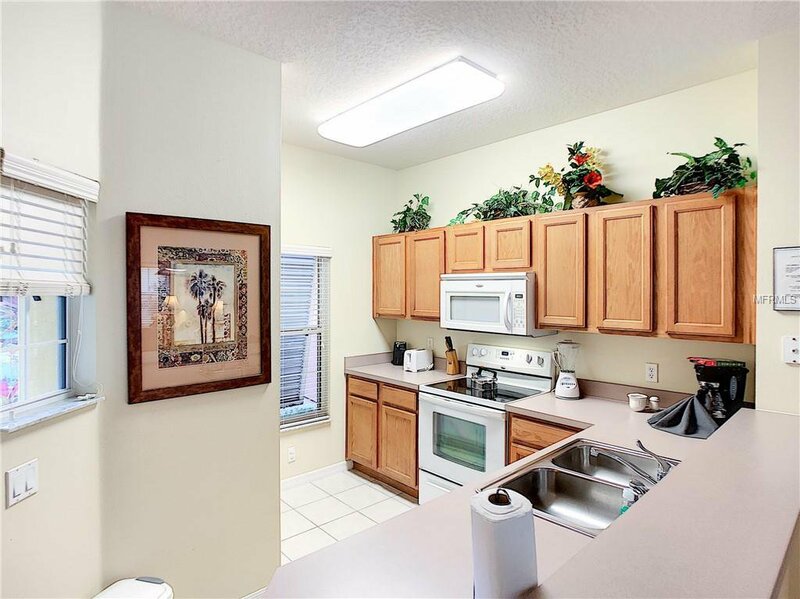 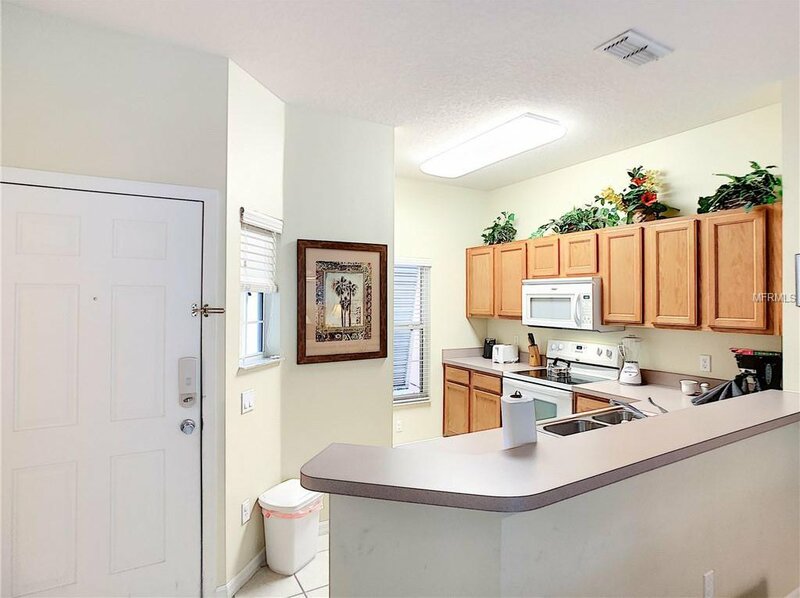 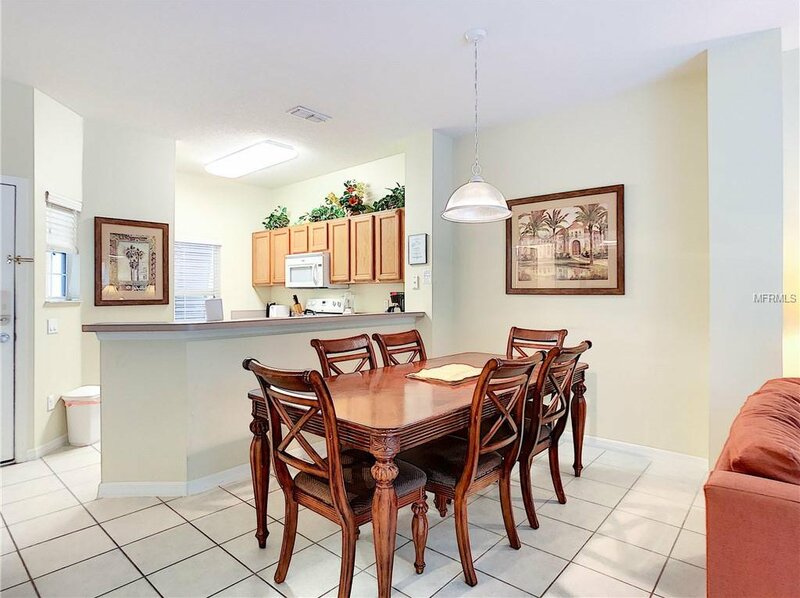 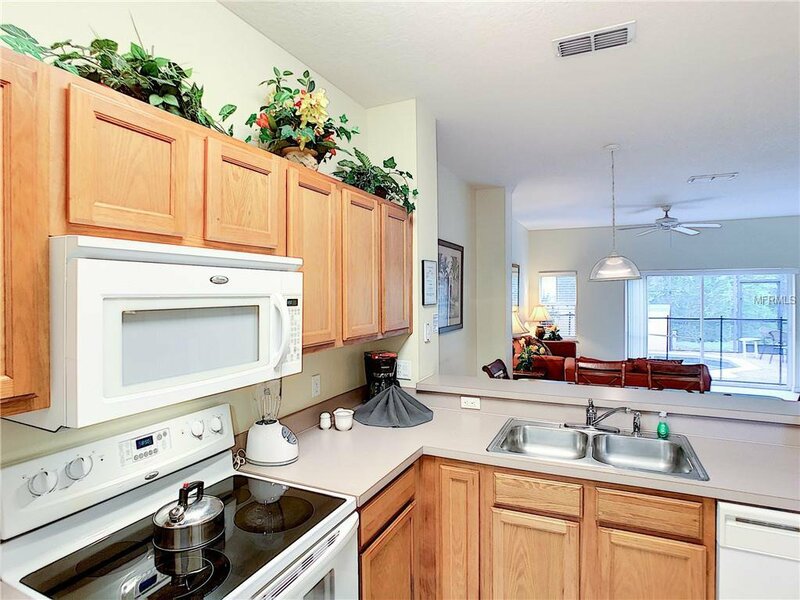 Plus, the breakfast bar is great for eating quick snacks before heading out to a theme parks. 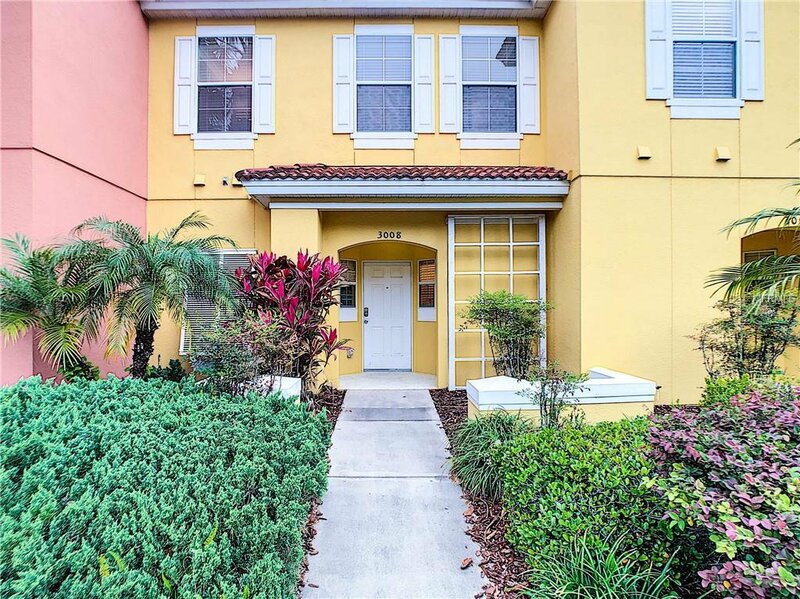 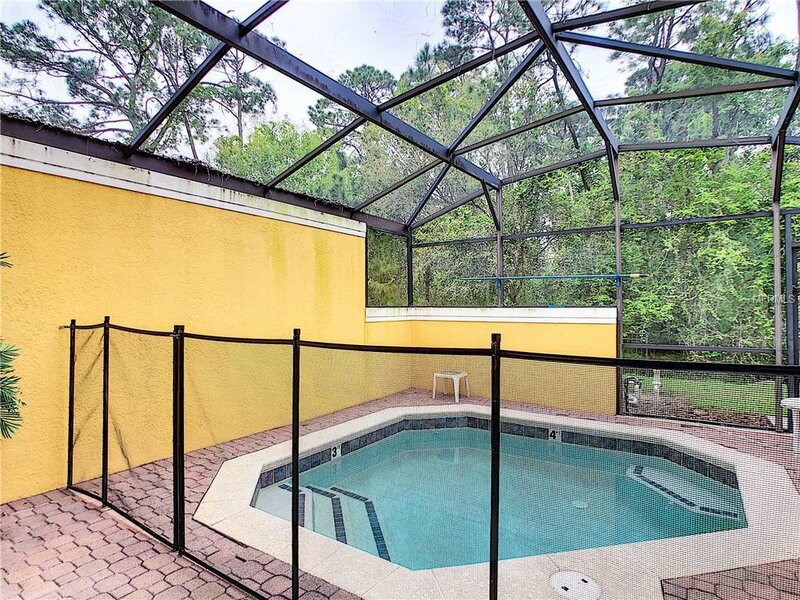 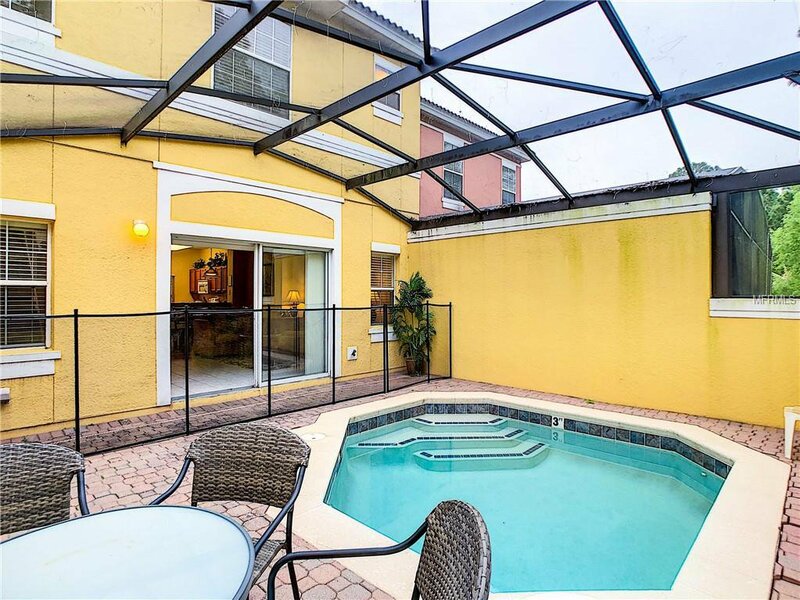 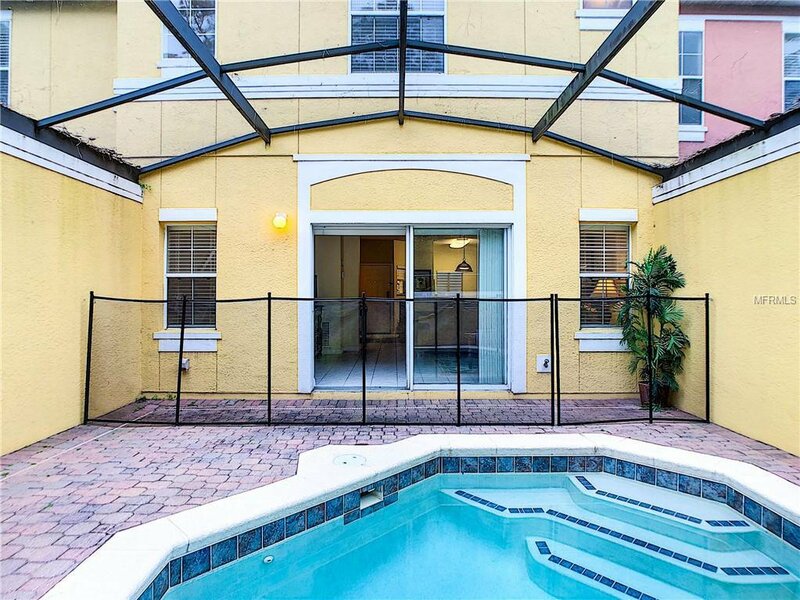 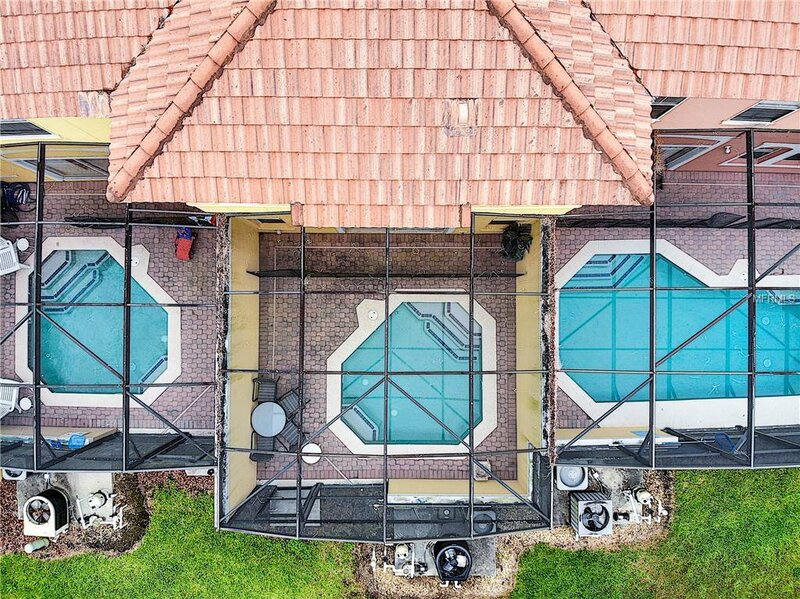 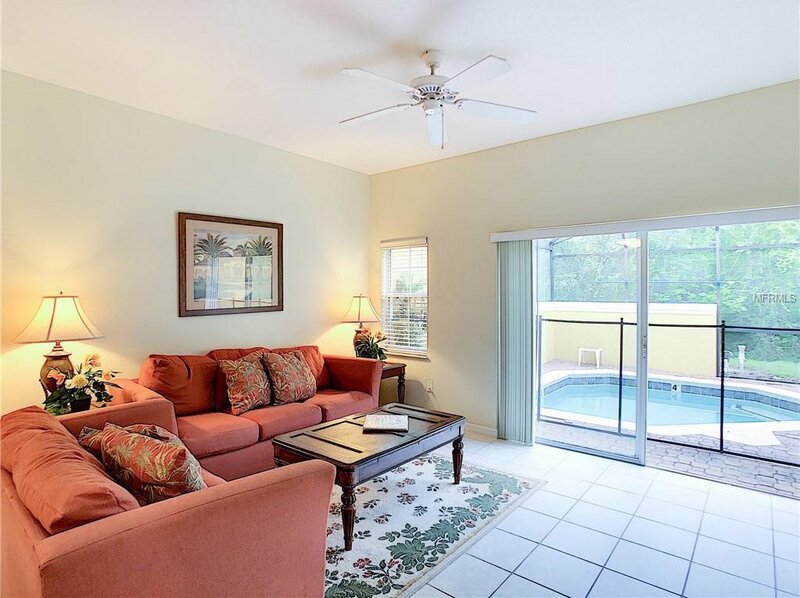 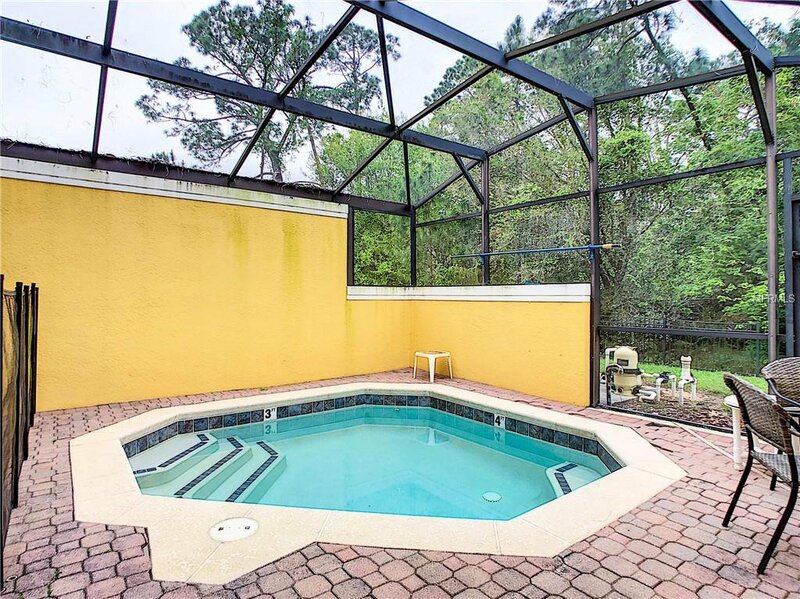 Enjoy the Florida lifestyle by having evening drinks out on the patio during those warm sunny evenings or enjoy cooling off in your own private splash pool. 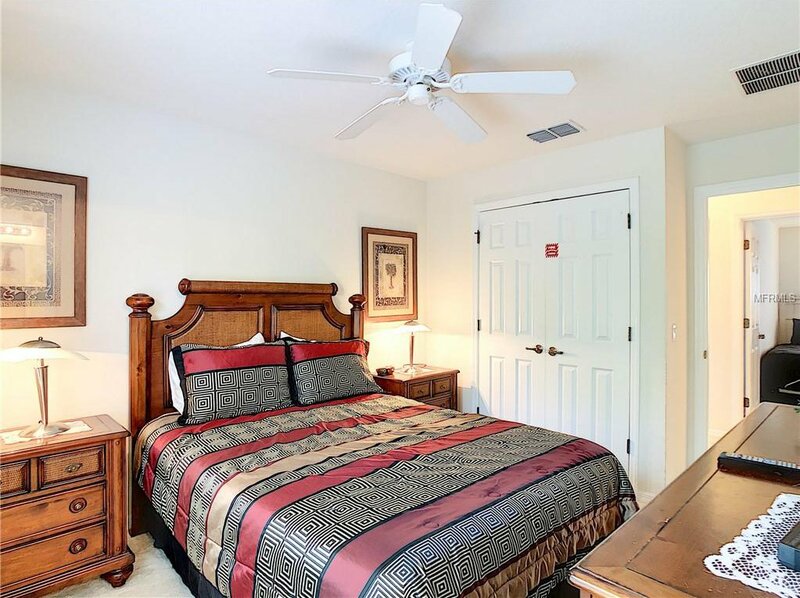 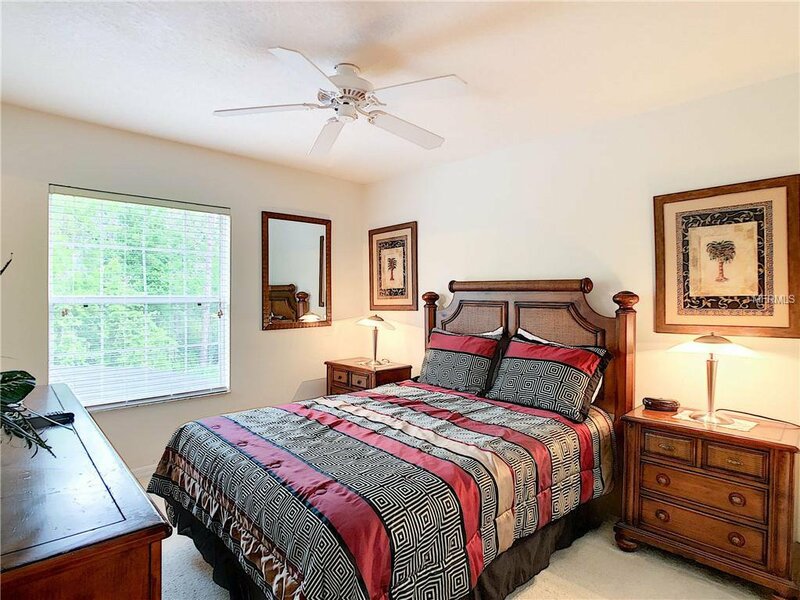 Upstairs you'll find the master bedroom along with two other well-appointed bedrooms. 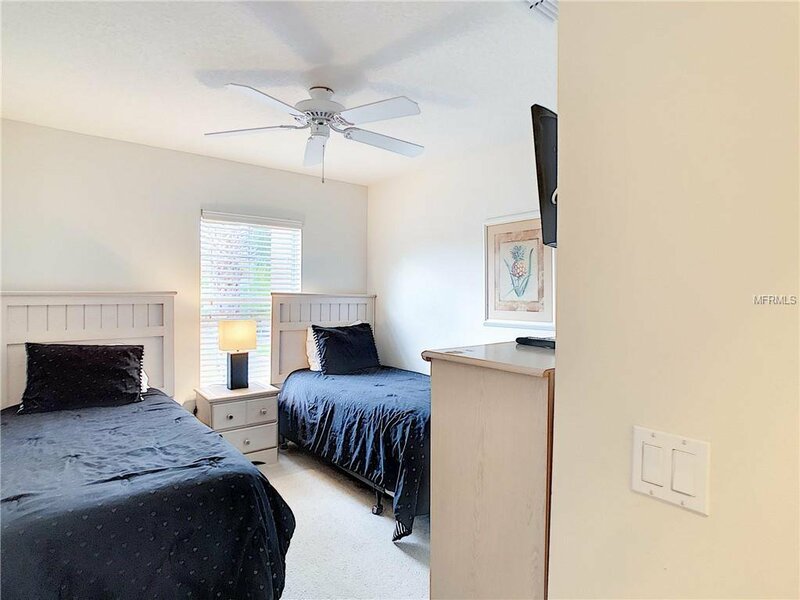 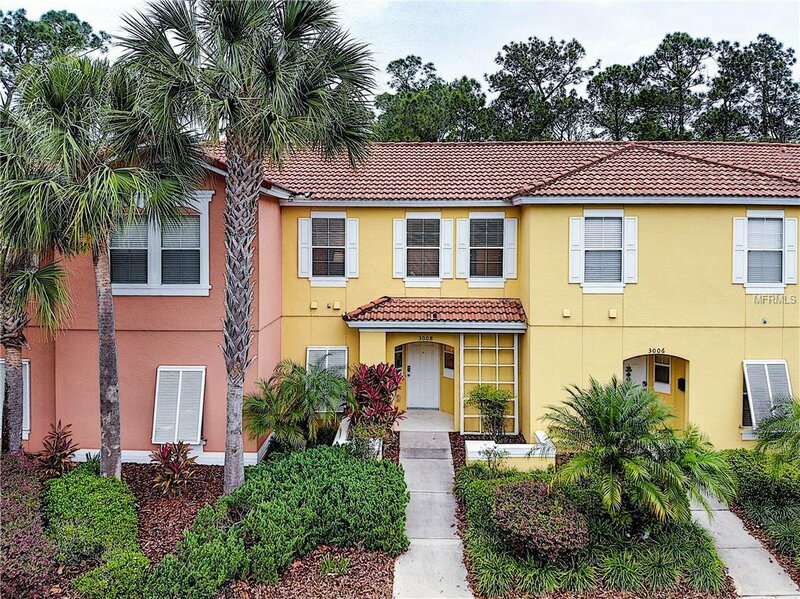 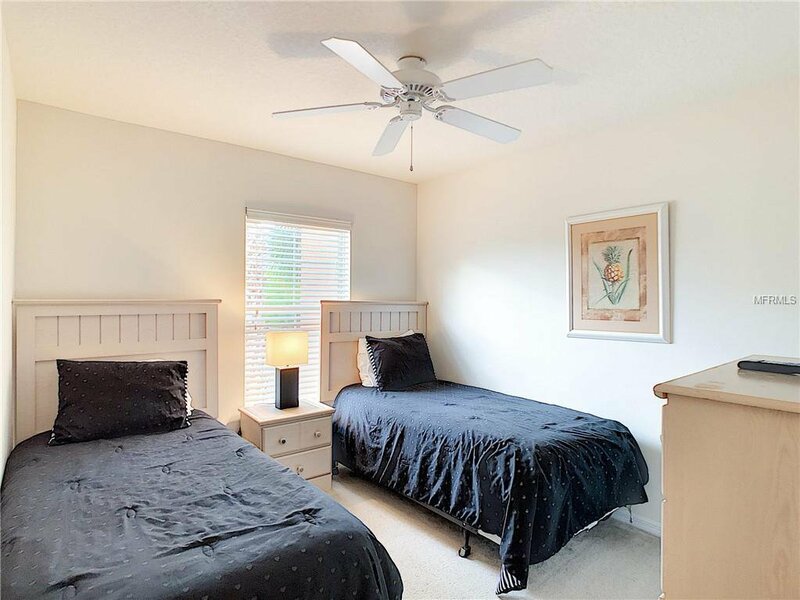 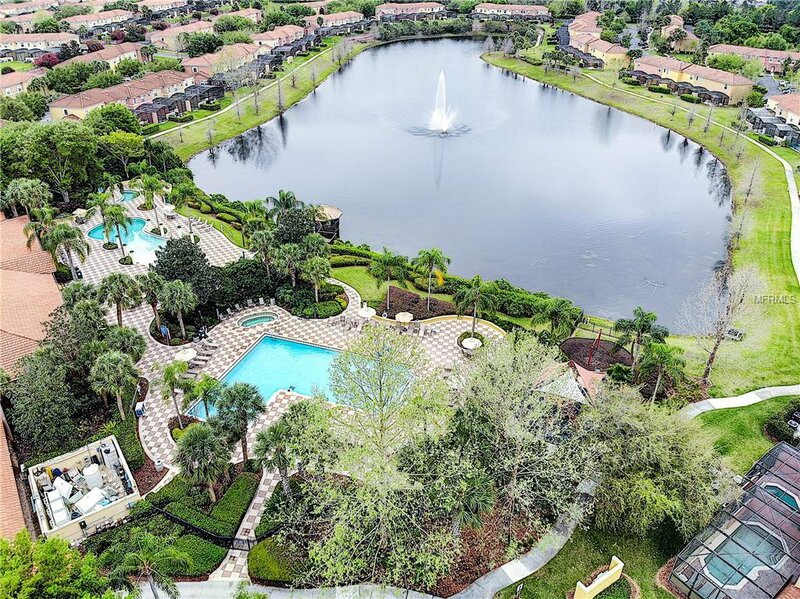 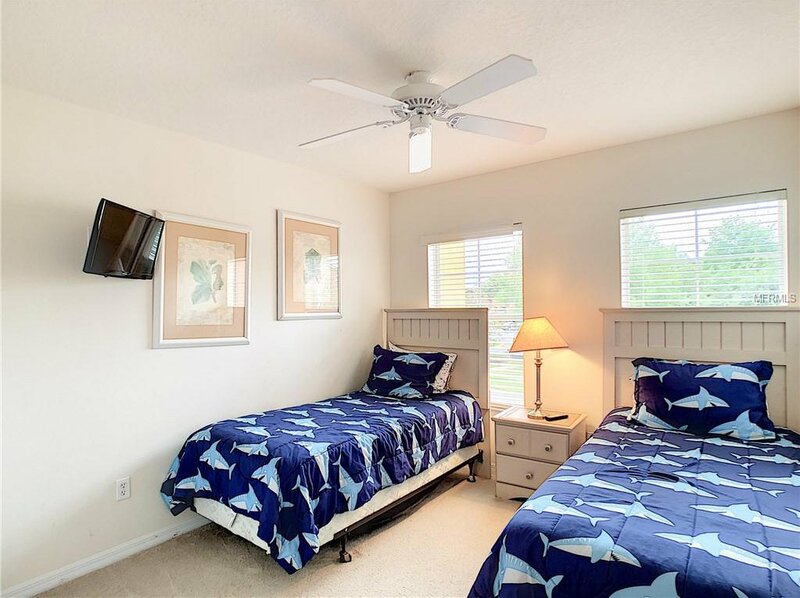 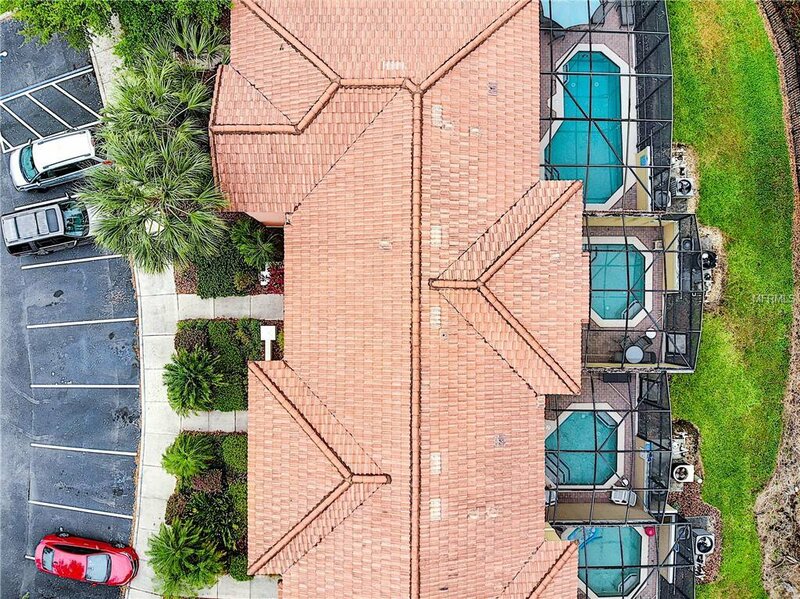 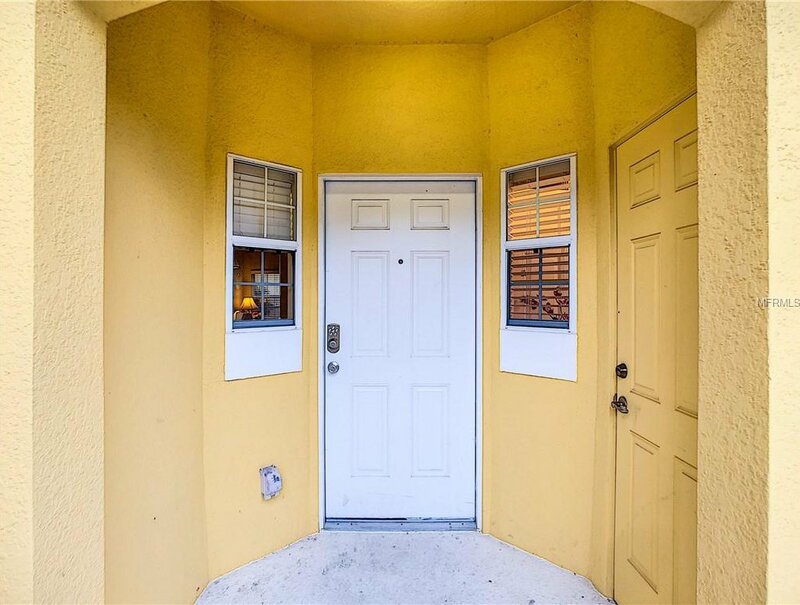 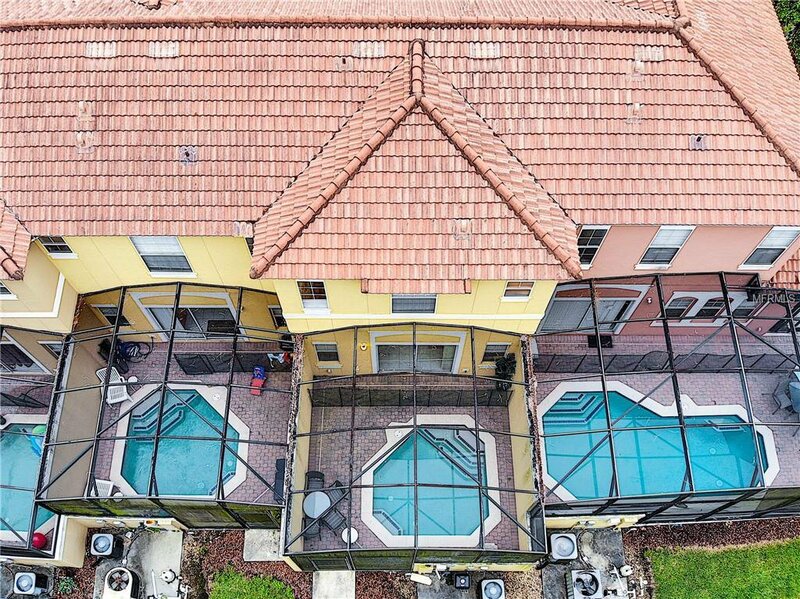 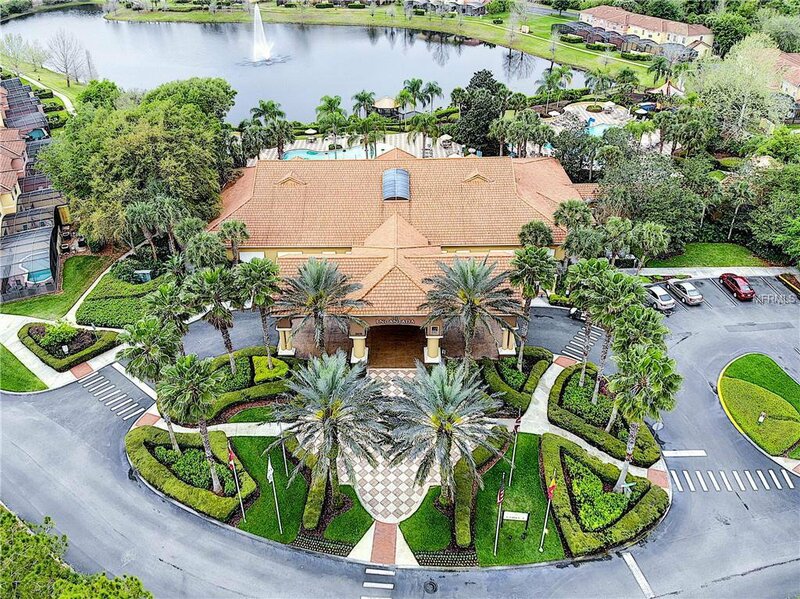 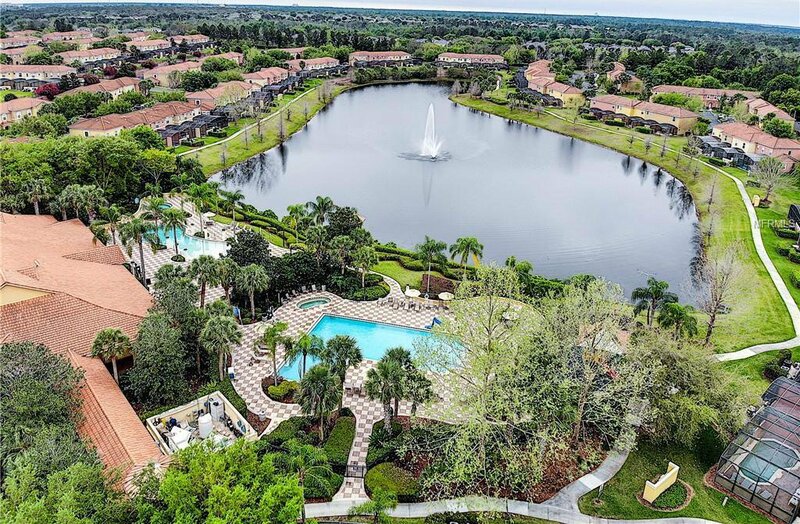 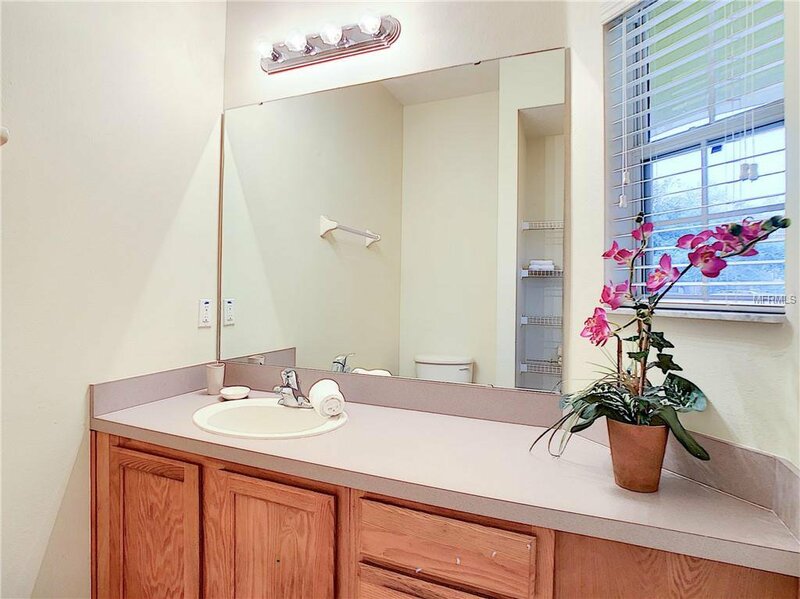 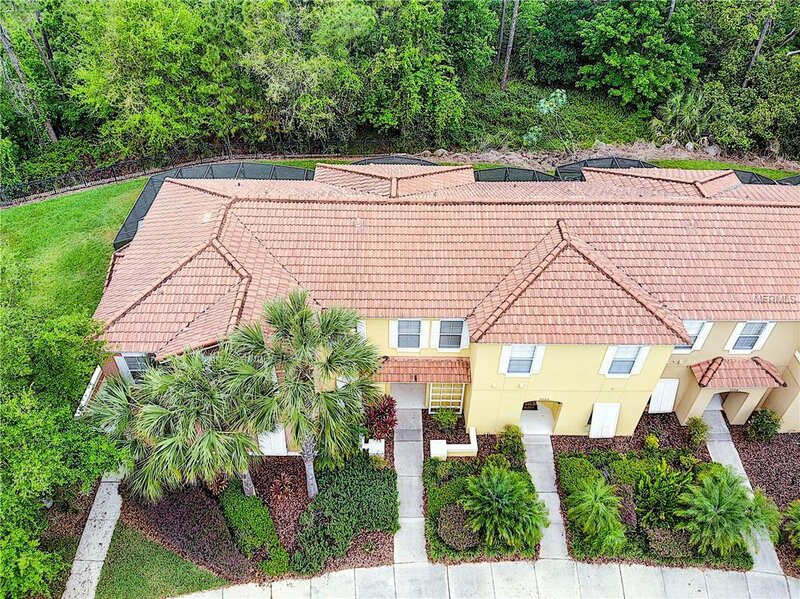 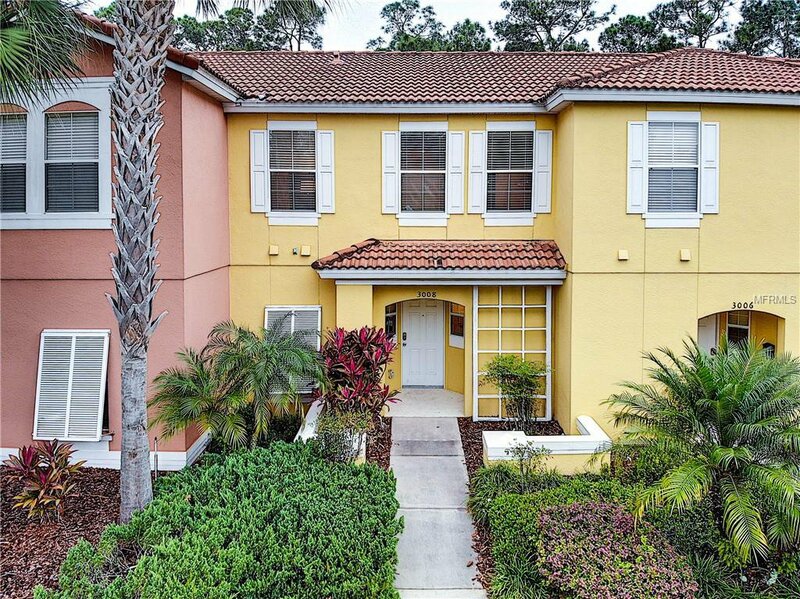 Located in the resort style, guard gated community, you’ll enjoy a beach entry pool, hot tub, fitness center, playground, business center, game room and clubhouse. 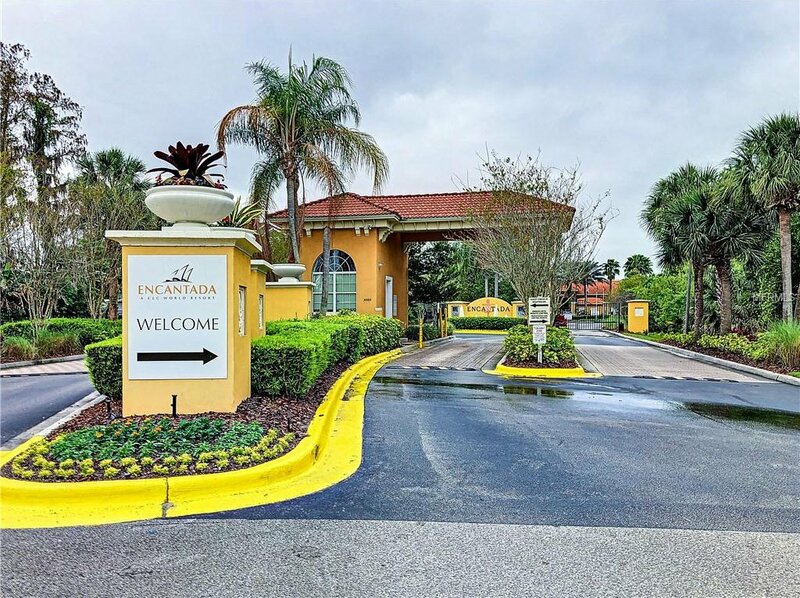 Minutes from the brand new Margaritaville Resort and Waterpark, Disney, theme parks, major roads, golfing, shopping and dining! 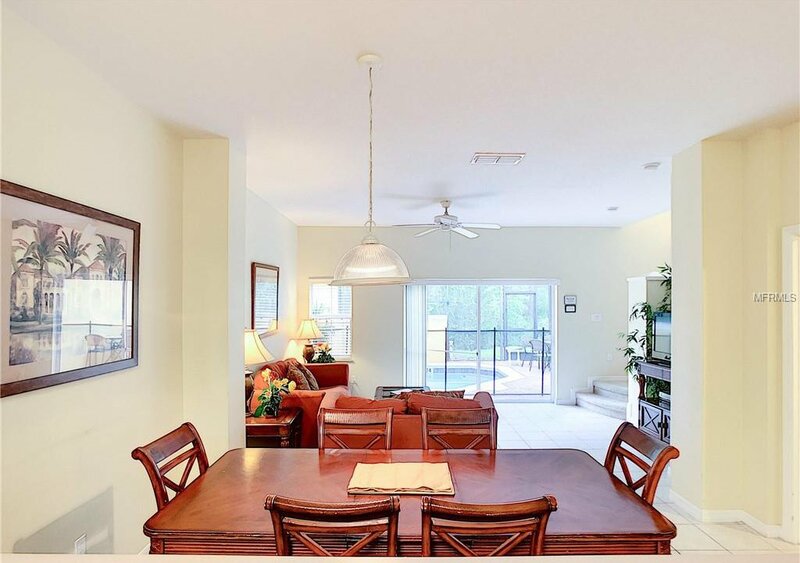 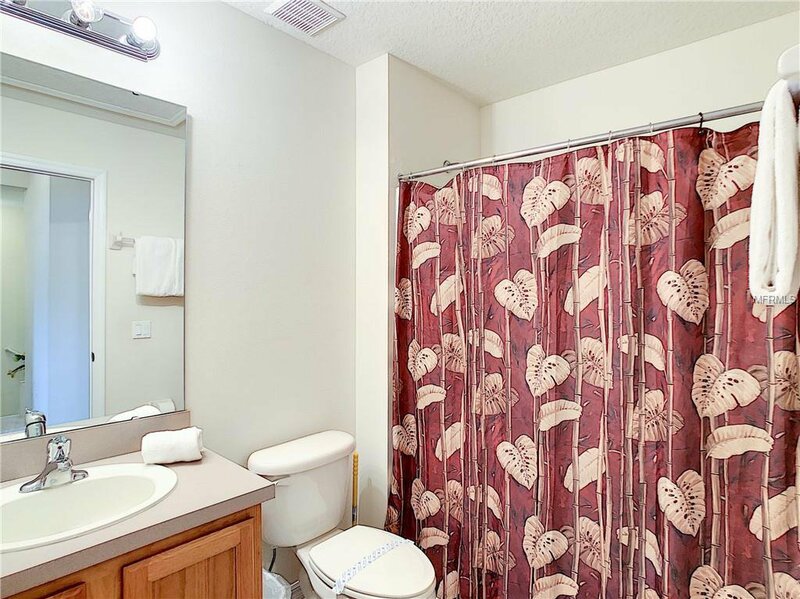 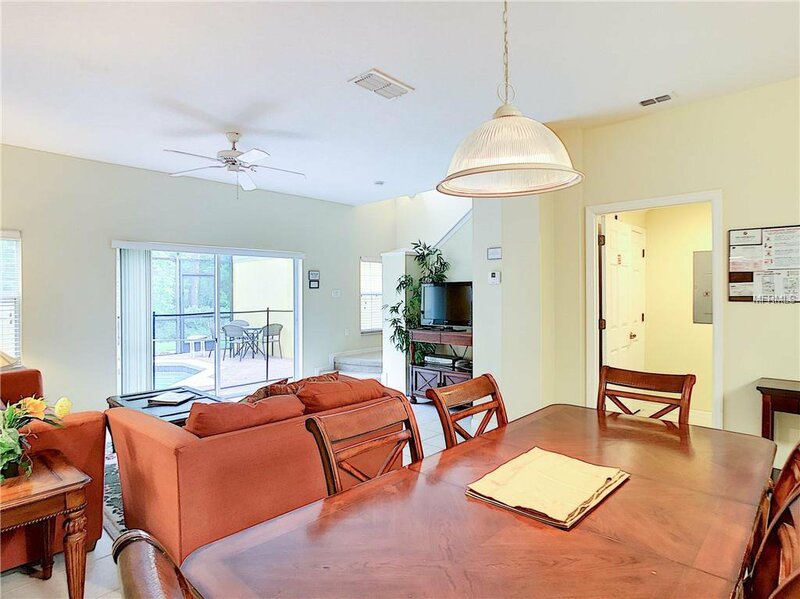 This home is being sold with all its furniture and other contents making it turn key ready. 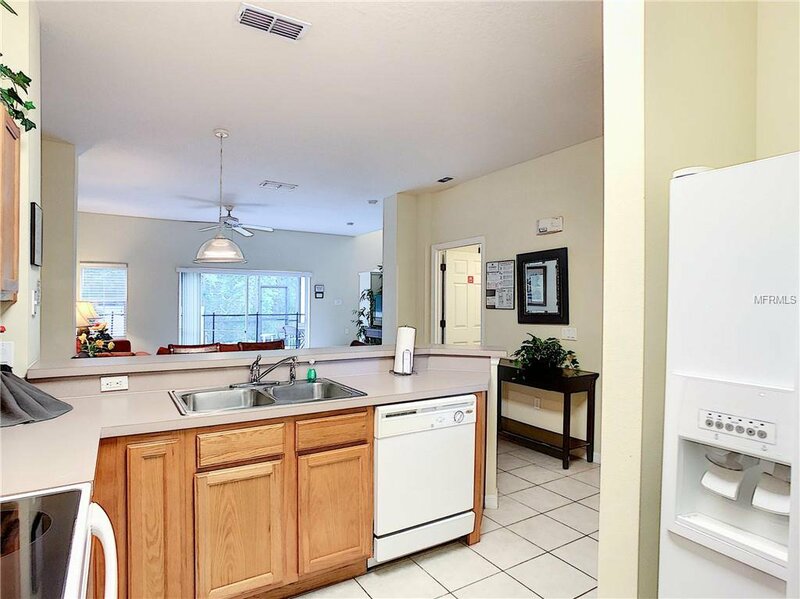 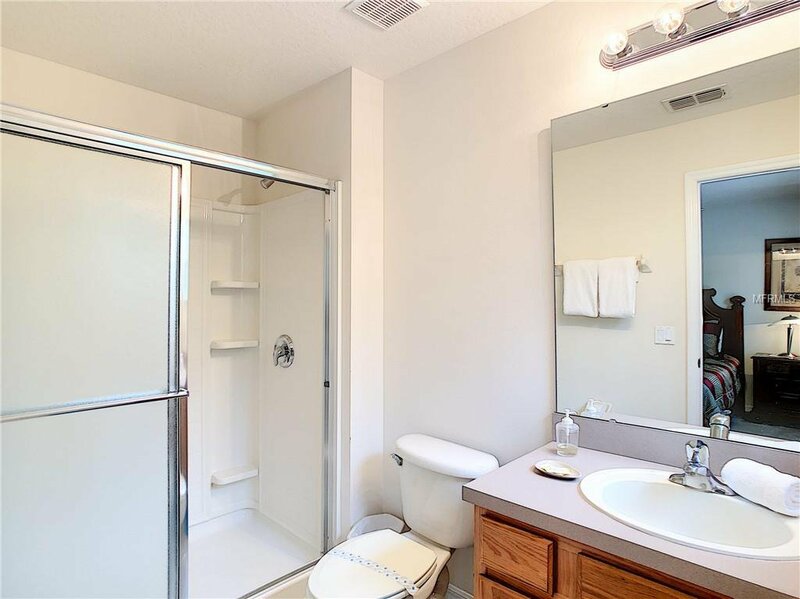 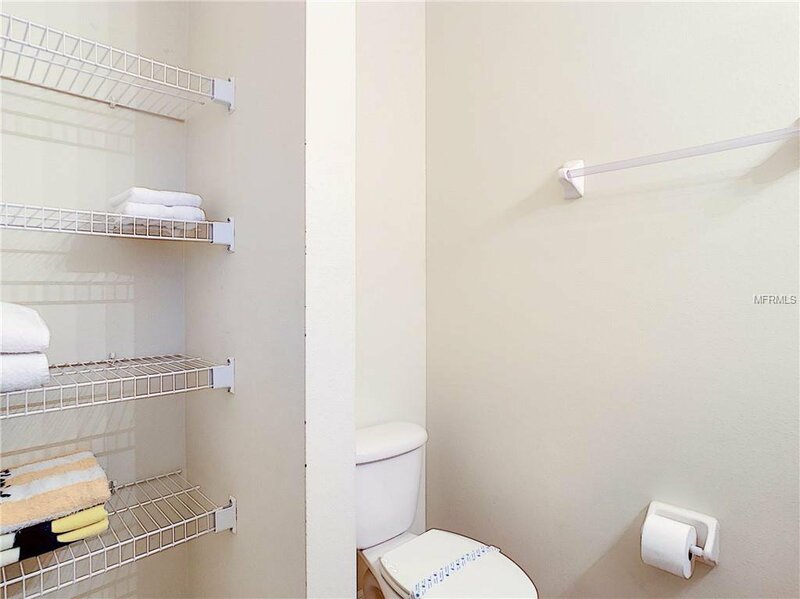 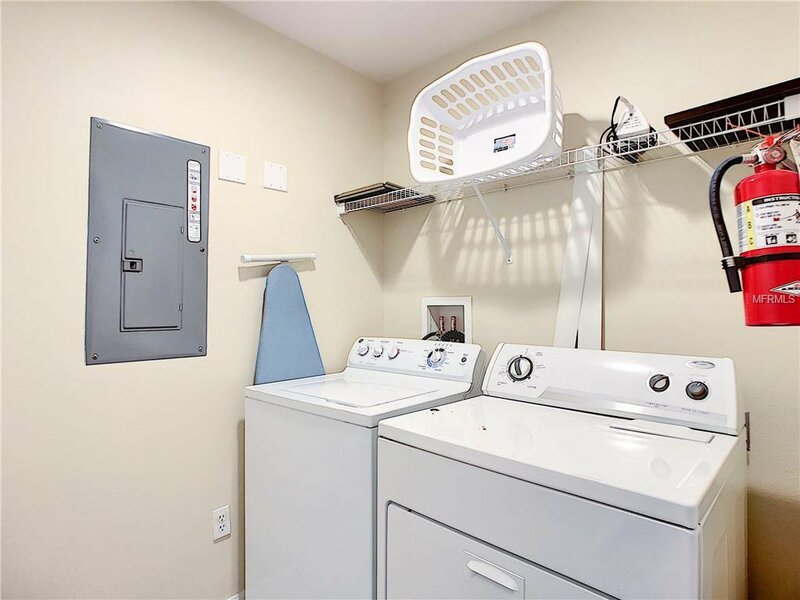 Zoned for short term renting.